Why not take the time to review your archive of photographs and upload your favourites to your Pink Lady® Food Photographer of the Year account? It’s time to enter the world’s leading food photography competition! With over 20 themes covered in our diverse categories, we are sure you’ll find a topic that will suit your picture of food in every type of setting. Not forgetting our dedicated short film category too – our magnificent judging panel of leading experts are waiting to see your stunning creativity and talent. 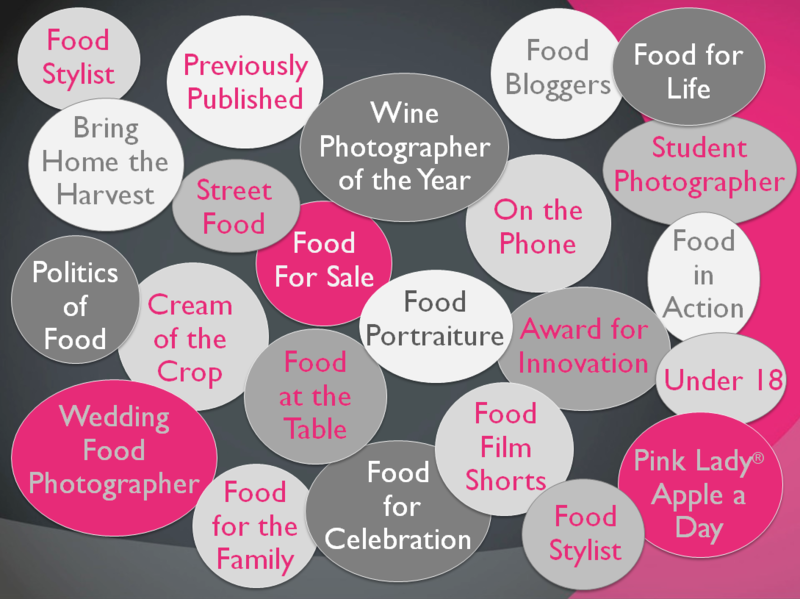 So, shoot to order or raid your portfolio and it could be you raising the coveted Pink Lady® Food Photographer of the Year trophy above your head.